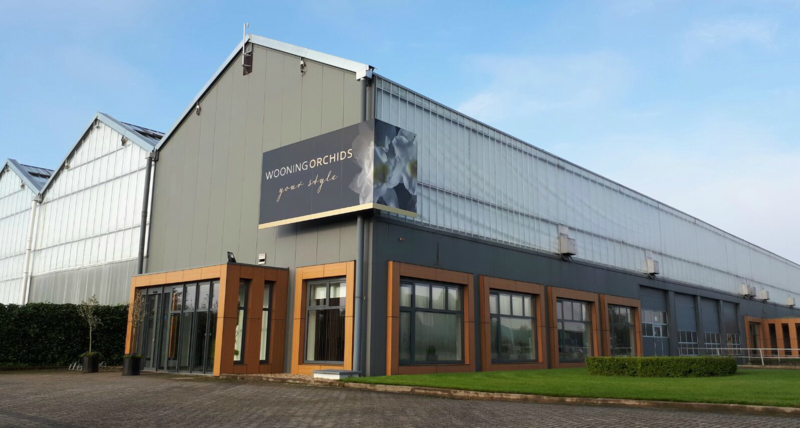 Wooning Orchids is a modern orchid breeding facility of nine hectares, located in Bleiswijk (Netherlands). We have supplied orchids right across Europe for the past four decades. Our company is your reliable partner for large or small quantities of Dendrobium Nobile and Phalaenopsis in the Exclusive and Essential quality classes. Here the focus is on plants with added value. With varying assortments and with innovating creations, we continually offer European consumers an attractive product. With our creations we create added value for every link in the chain. Expertise in interior and fashion trends makes Wooning Orchids the ultimate partner for a Dendrobium Nobile or Phalaenopsis with added value. Our enthusiastic team works hard every day to fulfil the wishes of our customers. Thanks to an advanced logistics system, we can deliver quickly and precisely. Buyers in the top and middle segments of the market value our reliability. They really appreciate the quality and range of the plants, the way we deliver what we promise and our clear communication. Our MPS certification ensures that we take account of the environment, people and society. We are honest and open about how we cultivate, our quality and reliability is tested regularly, and we invest to the fullest in sustainable entrepreneurship. With this label we meet all the demands our buyers impose. So when you do business with us, you are assured that the environmental, quality and social aspects have all been guaranteed. Our pay-off is ‘your style’. This refers to our well-developed feeling for consumers’ own style, but also illustrates our approach. Because we have the right knowledge and experience in-house, we are always able to fulfil your wishes.